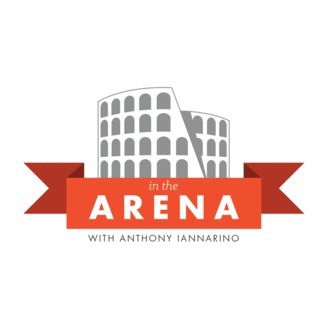 If you want to learn the most current and powerful sales techniques and mindsets from the top professionals in the business, In The Arena is the place to find them. Host Anthony Iannarino is himself a successful and consummate sales professional with the know-how and experience to coach you on your way. But more than that he interviews the top authors, salesmen, sales managers, and experts in the fields of B2B and B2C sales to give you the edge you need to move your numbers and profit to the next level. In the Arena is for you. Find out more at https://thesalesblog.com. It’s a bit presumptuous to claim a book is one of the best books on habits that exist. There are lots of great books on the subject out there, including Charles Duhigg’s seminal work, “The Power of Habit.” But Anthony is not shy about saying that his guest, James Clear has penned exactly that. James and Anthony share a common story: a debilitating brain injury that forced them to discover a new way of living. For James, his recovery took him to a new understanding of habits and the power of stacking simple, easy habits one on top of the other to create momentum and change. Bear that in mind, these are lessons James learned for himself rather than just information he consumed and regurgitated from the research of others. Maybe it’s not so presumptuous to say James’ work is one of the best books on habits. After all, he’s lived the story that has made it possible. Listen to hear his story, learn about the aggregation of habits, and how he recommends you apply what he’s learned to your own life. As is the case with many of the significant things that are created in this world, James Clear’s book, “Atomic Habits” was birthed in the forge of suffering. A freak baseball accident put James in a desperate place, fighting to recover from brain damage. His journey out of that debilitating place led him to the realization that small, simple habits can be stacked one on top of the other to bring about incremental but powerful change. This is not a conversation with a theorist. James knows what he’s talking about – not only because he’s researched the topic, but because he’s lived it. Be sure you listen to hear his incredible story. Anthony is the first to say that goals are important. But with the help of James’ book (and other resources) he’s come to see that they are not the most important thing. As James explains, goals are important because we have to know where we are headed but to focus on the destination to the exclusion of the actions that get us there is folly. James encourages those who are trying to accomplish goals to focus instead on building systems into their lives that naturally lead to the desired outcome or goal. That puts the focus where it rightly belongs – on doing rather than hoping. This conversation clarifies so many things when it comes to building habits – and it flows directly out of James’ book on the subject. Be sure you listen. Habits are not formed by self-discipline or self-control alone. They have to be birthed from a deeper, more fundamental place. 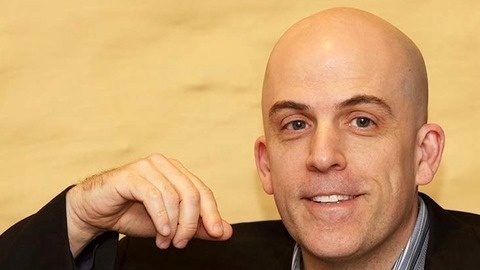 James Clear insists that if you don’t have a sense of identity tied to a habit, it will fall by the wayside sooner rather than later. For example, going to the gym for 5 minutes a day provides the basis for the reality that you are a person who goes to the gym. That’s the first baby step toward being the kind of person who makes use of the gym in productive ways. It’s an identity issue that you can take control of and master. In this conversation, James shares a handful of other examples to help you get your mind around why identity is foundational to establishing good habits. Case in point: If you want to cut back on a habit of stopping into Dairy Queen for a soft-serve cone on your way home from work, you don’t do it through a daily study of the DQ menu so you are clear about what you need to avoid. You do it by avoiding Dairy Queen altogether. That may mean you establish new driving patterns so you don’t pass by it on your way home from work. It could mean, avoiding looking in the direction of the store as you pass it. James Clear refers to the circumstances that set us up for indulging in a bad habit as “cues” – and in this conversation, he explains the simple but powerful ways we can be proactive about eliminating the cues for the sake of eventually removing the habits they fuel. Don’t miss this conversation. If you have habits to build into or remove from your life, James’ practical approach and clear guidance will be helpful.